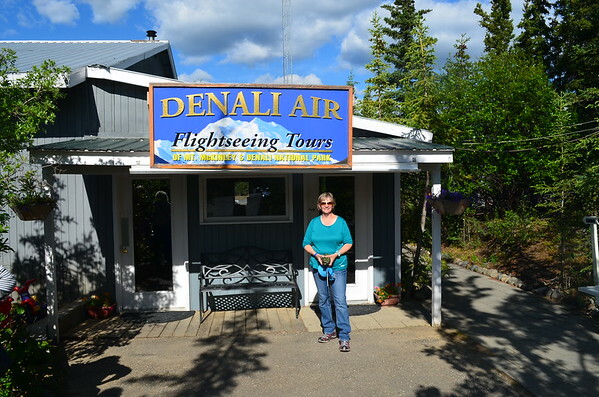 So last night I promised more about Denali and our flight around the mountain. I also want to tell you we picked the absolute perfect day for our air tour. 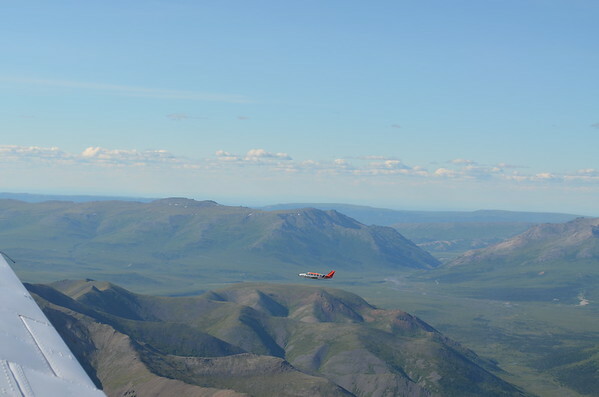 Not only was it a clear day but there was literally no turbulence out and back: a clear, smooth day is rare up here. Even our pilot was surprised and remarked on how rare it is to have a day like yesterday. Now a few facts about the mountain and the park just because you really need some background for the photos. 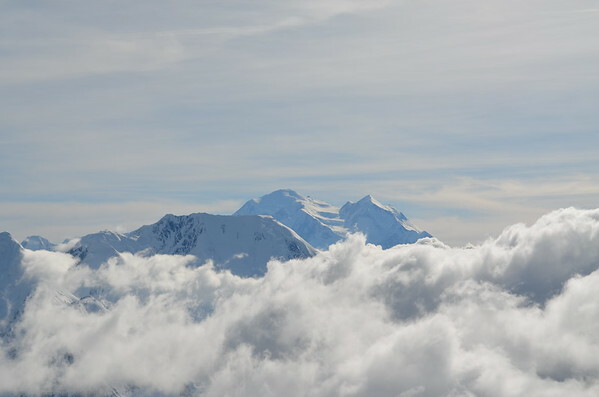 Denali rises about 18,000 feet (5,500 meters) from its base, which is a greater vertical rise than Everest’s 12,000-foot rise (3,700 meters) from its base at 17,000 feet (5,200 meters). 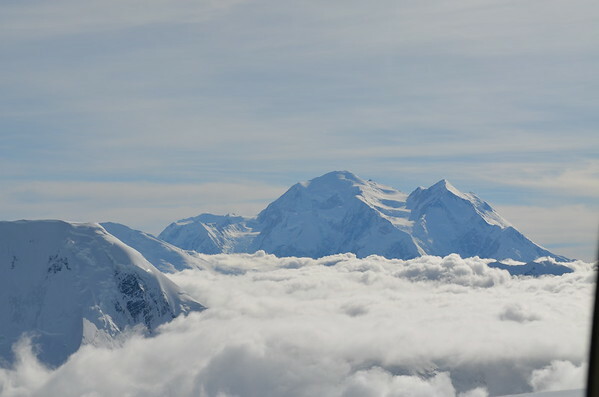 So although Everest is higher, Denali is taller. 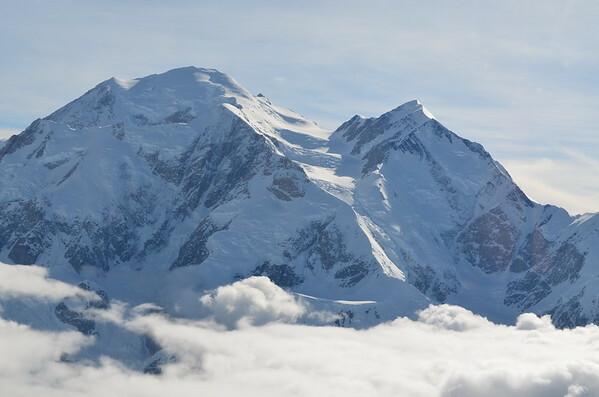 The upper half of Denali is permanently covered with snow and many glaciers, some more than 30 miles (48 km) long. The mountain’s extreme cold, which can be minus 75 degrees Fahrenheit (minus 60 degrees Celsius) with wind chill down to minus 118 F (minus 83 C), can freeze a human in an instant. 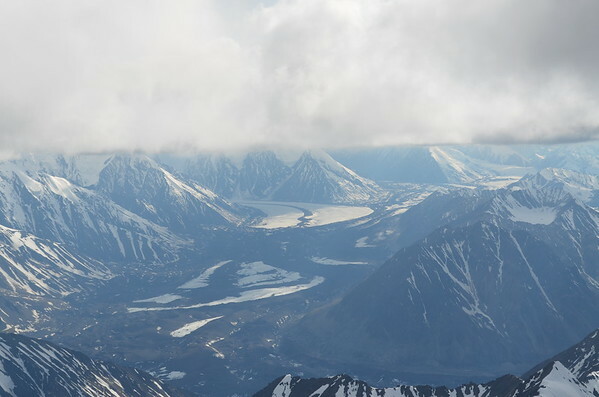 Denali is home to many glaciers. 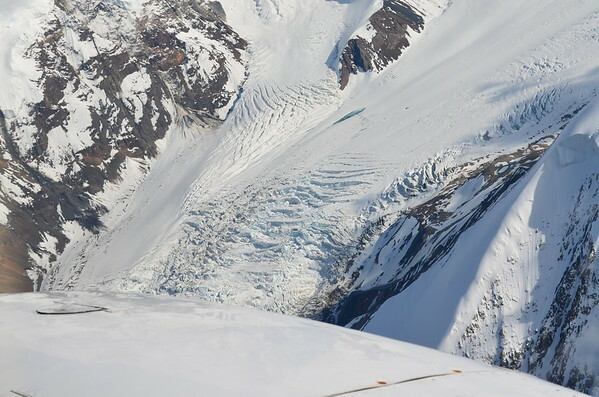 The glaciers range in thickness but the Ruth Glacier has a measured thickness of 3,800 feet. 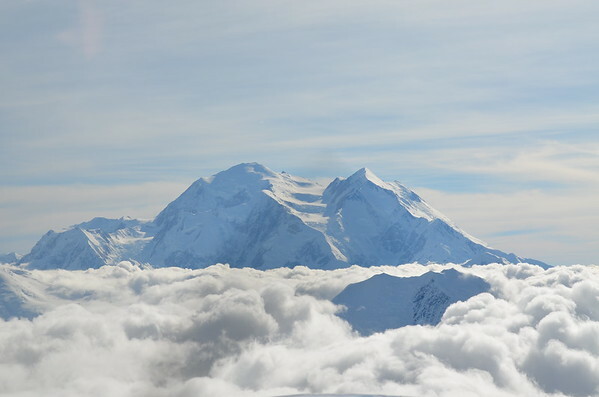 There have been thousands of attempts to summit Denali but only about half actually succeed. The national park is 6,000,000 acres and contains just one, mostly gravel, road that is 92 miles long. 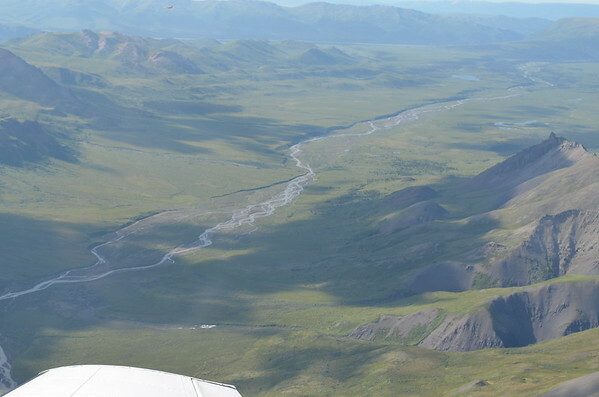 Over 400,000 people visit Denali every year. The park is a designated wilderness and the challenge with that many visitors is to keep it that way. After spending a week here you begin to appreciate how big the park is but also how threatened it is by civilization and the increasing number of people wanting to visit. Our hosts for the tour. Highly recommended if you are up this way. Not inexpensive but it is the trip of a lifetime. We had enough folks to fill two planes – that is the other Piper Navajo that left with us. 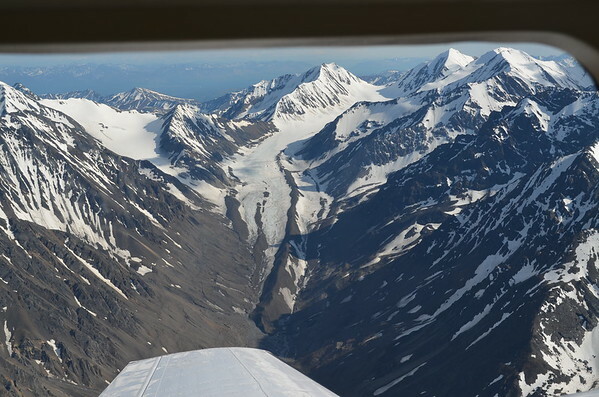 We are flying over the lowlands before we get to the spine of the Alaska Range. 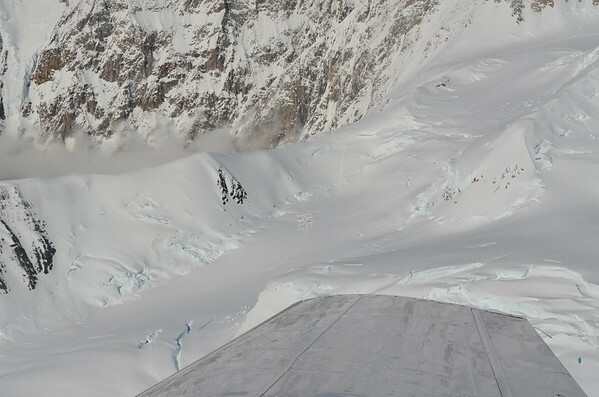 This is typical of a valley carved out by a glacier – a wide smooth bottom with gently sloping walls. This differs from a valley carved by a river, which will tend to have much steeper walls and a narrow bottom. 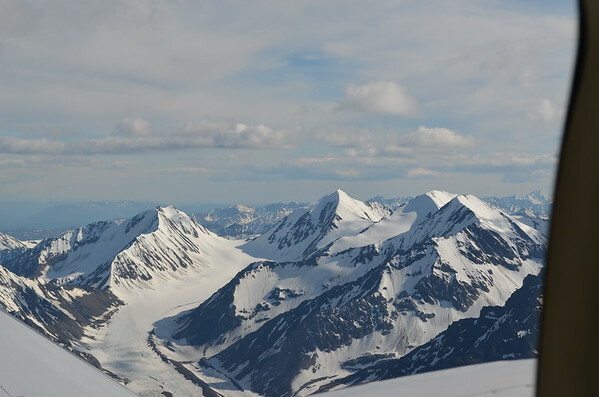 As we climb higher we begin to see more snow topped mountains and some smaller glaciers. A perfect view of a glacier as it transitions from a river of ice to lower altitudes where it begins to melt. The water from a glacier is very silty and will not support fish or other life because of the silt and high mineral content. The silt in the water is called glacial flour, and the silty water is described as glacial milk. 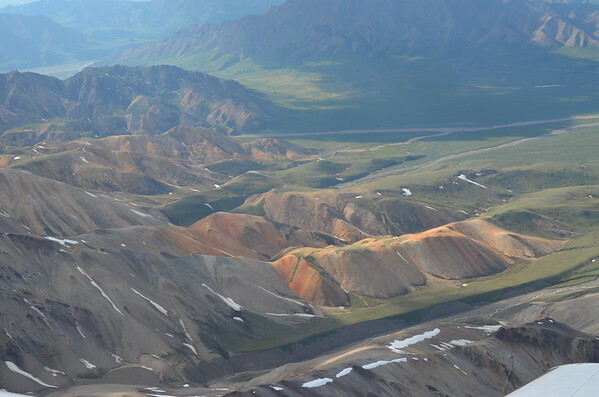 The unique colors of Kodachrome Pass are the result of the various mineral deposits in the soils. The colors are remarkable. The Ruth, Kahiltna and Muldrow Glaciers are the longest glaciers in the park; each is more than 30 miles long. 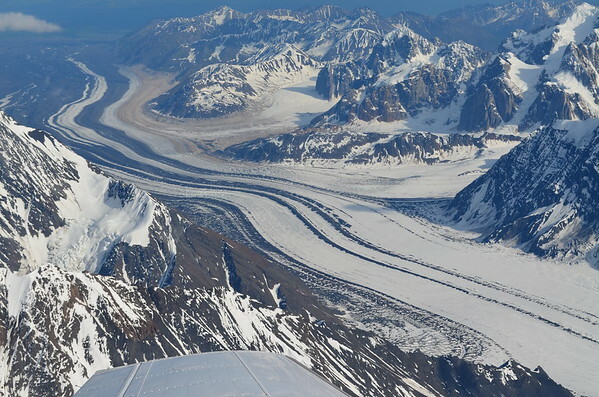 The Kahiltna Glacier, which is not only the longest glacier in the park but also in the entire Alaska Range, is 44 miles in length. Denali dwarfs everything around it. Even from a distance, it’s size begins to assert itself. The size is deceiving – we are still 40 miles away. As we begin to close in on the mountain its size begins to assert itself. Another of the glaciers flowing away from Denali. 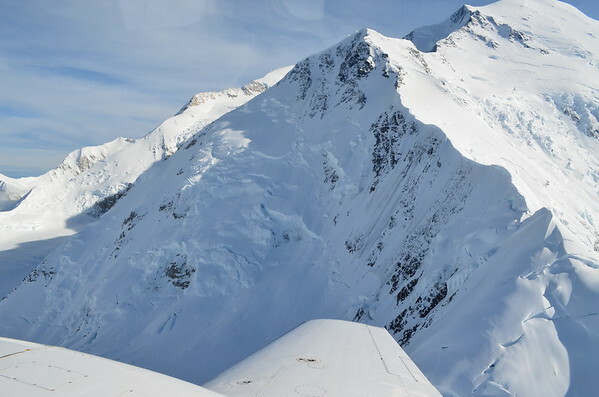 Avalanches just waiting to happen. Look at the various cracks where the snow and ice have started to separate. The mountain from about 2 miles away and from 12,000 feet. The mountain is 2 miles higher than we are flying. This gives some perspective on size. Just above the leading edge of the wing is a series of small black dots. That is the base camp for people making an assault on the mountain. From the base camp to the col just above and to the right is a full day’s hike. 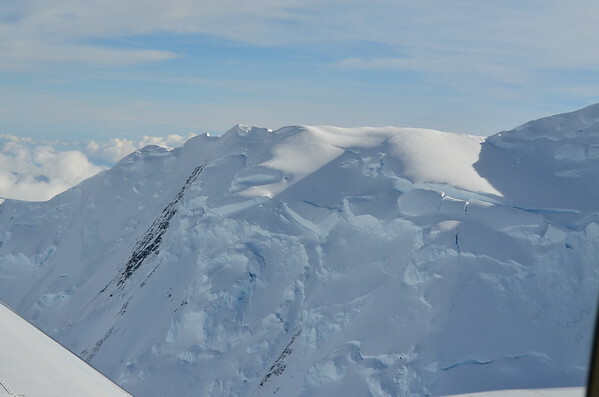 From there people make their final attempts to reach the summit. Yet another glacier. Note the very blue color of the ice. The north face, also known as the Wickersham Wall. A slope of 50 degrees, it has only been climbed a few times. 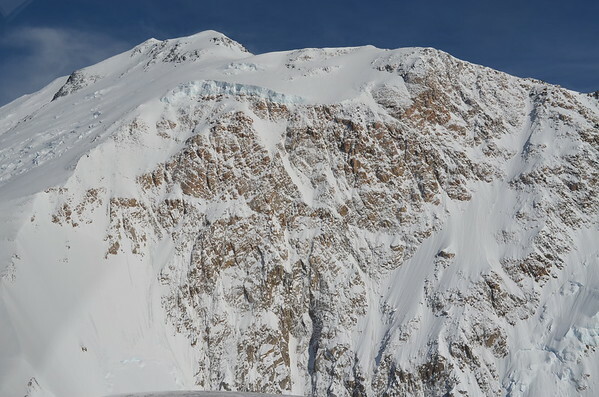 It is a sheer granite face covered with ice and subject to regular avalanches. Evidence of recent avalanches. Most of these occurred in the last two weeks. Finally, a few snippets of video as we flew around the mountain. Nothing captures the grandeur like being here but this is my attempt to share this glorious place with you.